Tim & Smash. Tim & Smash in State. 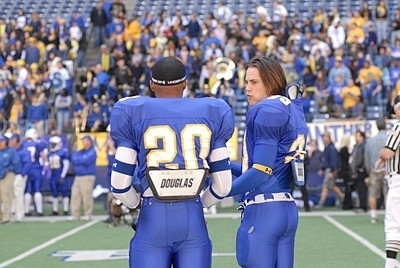 Wallpaper and background images in the Friday Night Lights club tagged: friday night lights image still 1x22 state season 1 tim riggins smash taylor kitsch gaius charles. This Friday Night Lights photo contains 전위. There might also be 미국 축구, 미식 축구 게임, 미식 축구, 미식 축구 경기, 축구, 축구 게임, 축구 경기, and 타이트 엔드.